Leicester City FC has confirmed its owner’s death, in a helicopter crash on Saturday near the club’s stadium in Leicester, England. 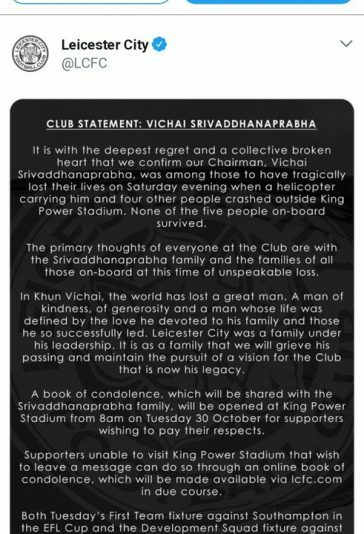 Thai billionaire Vichai Srivaddhanaprabha, was one of five people on board the aircraft when it burst into flames after crashing in a parking lot next to King Power Stadium, the club said. No one on board survived. 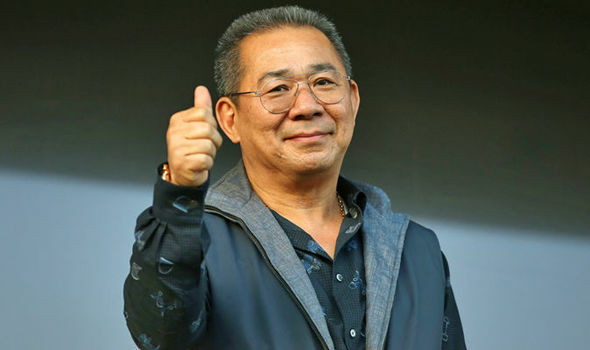 The post Leicester City Confirms Owner’s Death In Helicopter Crash appeared first on LATEST NIGERIAN NEWS BREAKING HEADLINES NEWSPAPERS.